NO one turns a spark into a bonfire quicker than Melbourne United. The spark, itself, will come in all shapes and sizes. Some are long threes and clutch baskets. A strong rebound or tide-turning block will also get the job done. Others, however, are not so obvious, like on Sunday for example. United basically went through the motions for the best part of three quarters against Cairns Taipans, which included going scoreless in the first three minutes of the second half, but they surged late to get the money 87-80 at Melbourne Arena in front of a crowd of 7897. 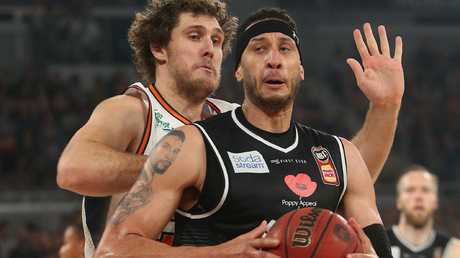 When the deficit ballooned to double digits, United's lacklustre start appeared to worsen with David Barlow in the hands of the trainers clutching at his right knee after getting tangled up with Taipans giant Nate Jawai. With Barlow, arguably the team's most consistent and honest performer this season, in the tunnel receiving treatment, the NBL champions found another gear. DJ Kennedy led the way with a steal that ultimately led to Josh Boone driving the basket for two points. Casper Ware followed suit, a bounce pass to Kennedy in the paint, for another two. Then Ware tripled with gusto - his first from the perimeter after four miscued attempts. When Kennedy danced around Jawai for the dunk it turned a troublesome 12-point deficit into something more manageable. Ware (34pts, 6a) and Kennedy (10pts, 5rb, 2st) were nothing short of delightful down the stretch. Hardly a surprise, really, truth be told. Ware's ability to knock down buckets and get others involved when it matters is unparalleled in this league, while Kennedy has only gone from strength to strength in recent weeks with luck on his side after interrupted start to his NBL career. The pair went ballistic on Sunday, combining for 17 points in the last quarter alone. Kennedy owned the intangibles, a steal at the death drew the foul and sealed victory, only moments after the athletic wing denied the league's most prolific scorer, Melo Trimble, a certain basket. 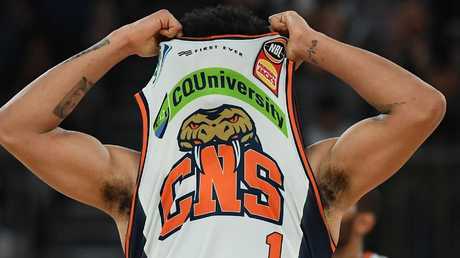 It was a case of once bitten twice shy for United and Trimble after the Taipans game-breaker scored 34 points in a losing effort just eight days ago. United got the points that day - and again on Sunday - but the NBL champions weren't about to let Trimble go town on them again. Josh Boone gets in the front position and Cairns are struggling to cope. Picture: AAP. United guarded Trimble relentlessly in the first half, making the Washington DC native earn every dribble let alone shots at the basket. Ware set the tone early, and when he rested, Pete Hooley stepped up. When so much of sport - of all sorts - is dominated by zones and structures it was refreshing to watch United to wind back the clock and make it personal. If Trimble wasn't frustrated going at 1-5 in the first quarter then Hooley's ability to disrupt him twice in the first half, once with a block and then an intercept, only worsened the situation. 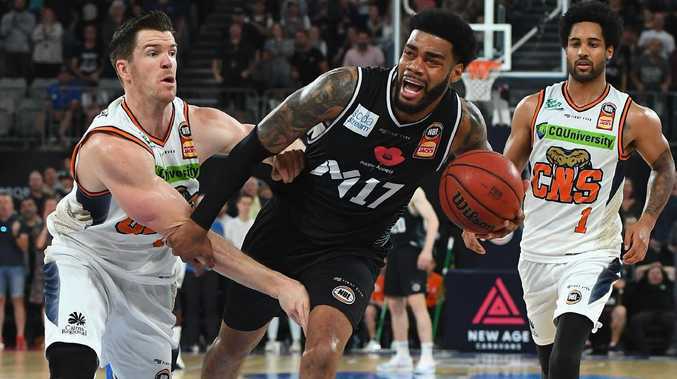 If it wasn't obvious on the scoreboard, already, then Taipans coach Mike Kelly made a certainty of it when he summoned Trimble to the bench twice in the second quarter alone. Trimble got going in the second half, to finish with 19 points, but the damage was done.